Educating a child is educating a generation. 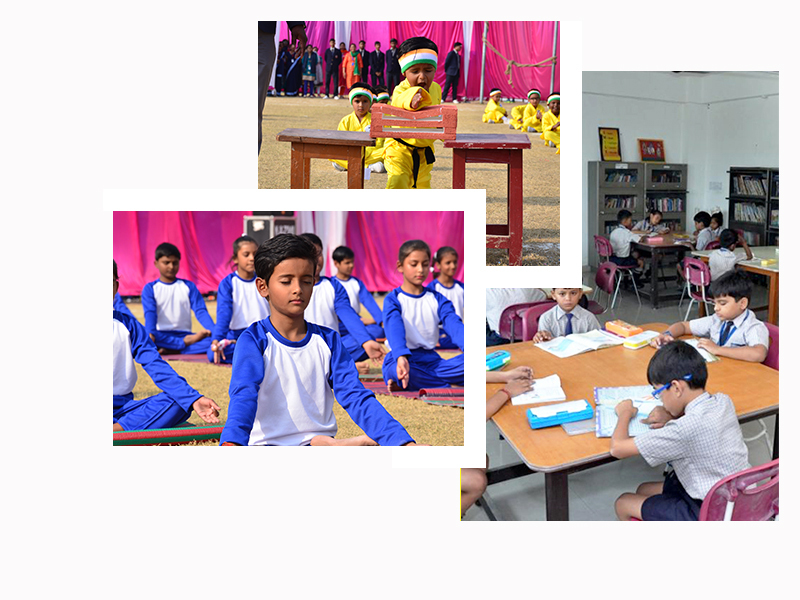 Learning should be a true adventure and life should be directly experienced loved and enjoyed, thus making the students self- disciplined, confident, self motivated and independent life long learners. First term from April to September. Second term from October to March. The Student are evaluated on a continues bases. There are no exams from pre nursery to class 2 but students are evaluated in a very comprehensive way throughout the year. From classes 3. to 10 students are assessed regularly through weekly tests, half-yearly exams and Annual exams. The school diligently follows the CCE Pattern.and continuously. The school diligently follows the CCE Pattern. In classes XI and XII Students prepare for the All India Senior School Certificate Examination (AISSCE) conducted by CBSE. The school offers various subject choices at the Elective level and has all 3 streams i.e. HUMANITIES, COMMERCE & SCIENCE. Mathematics, History, Psychology, Economics, Accountancy, Business Studies, Physics, Chemistry, Biology, Physical Education & Computer Science. Each Student is required to take FOUR subjects along with English Core which is compulsory.